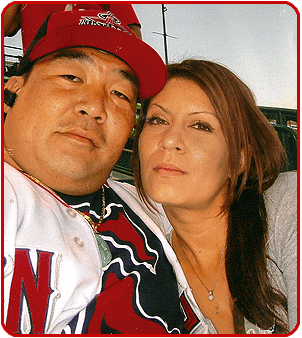 In 2004, when Matt Miyashiro and his wife Lorraine realized the need for a quality hot dog for the streets of Southern California, they decided to take matters into their own hands. With a grill, fresh menu ideas, the support of friends and family, and serving the world famous Sabrett brand franks, Dragon Dogs was born. From its humble beginnings of a single push-cart, and before the Food Truck craze took off, Dragon Dogs was slowly changing the game of connoisseur street food. Enter Angels Baseball. In 2006, when construction and new developments popped up around Anaheim Stadium, a vacant lot opened adjacent to the Stadium making an ideal setting for tailgating and pre-game festivities. Dragon Dogs took advantage of this opportunity and set up shop in the parking lot, quickly making a name for itself. Business boomed and an Orange County hot dog legend, and Angels game staple, was born. We serve sabrett hot dogs! Hot dog or frankfurter? Whatever your preference, everyone prefers Sabrett! 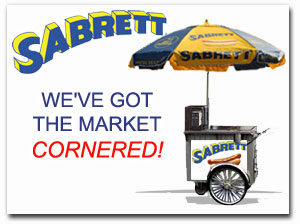 Sabrett is New York’s #1 hot dog, renowned for the famous snap of their natural casing, all-beef frankfurters. Every Sabrett hot dog is always fresh and bursting with flavor, because Sabrett has been committed to the outstanding quality of its products and the ultimate satisfaction of customers for over half a century. Check out the Sabrett website for more information on Dragon Dogs’ favorite hot dog brand.